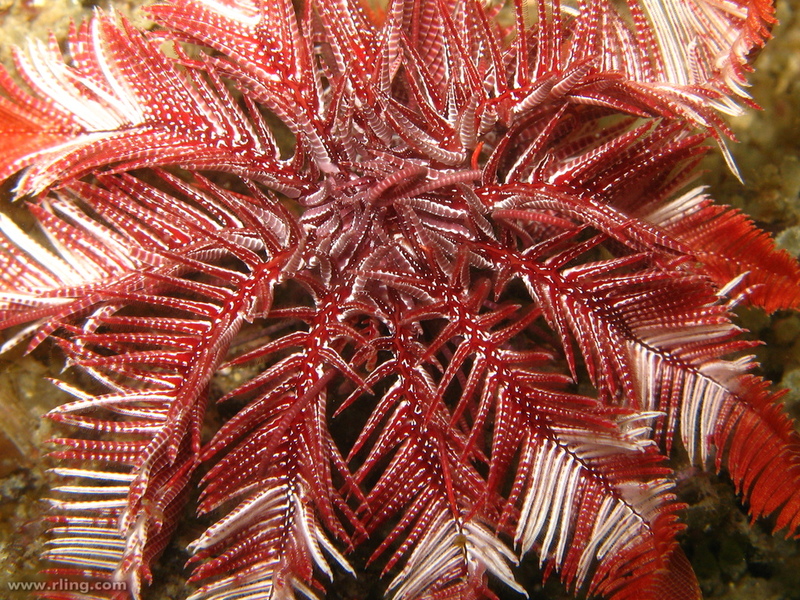 The Passion Flower Feather Star is a Feather Star - a non-stalked Crinoid - found in shallow waters off south-east Australia. 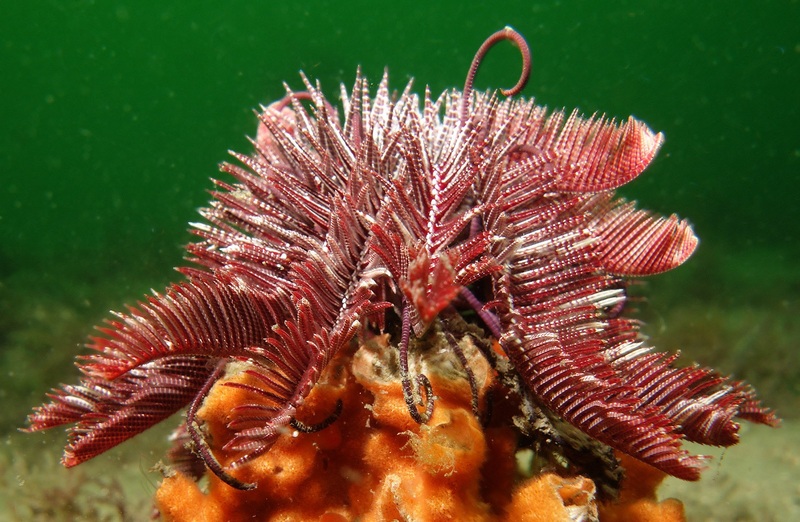 Like other Crinoids they have a tiny, calcareous body called the calyx, which contains their organs but is utterly dwarfed by their long arms. In the case of the Passion Flower, there are about 20 of these arms and they reach a maximum length of about 8 cm (3 inches). The spindly arms are covered in projections called pinnules which make the whole thing look like a big, bouquet of feathers. 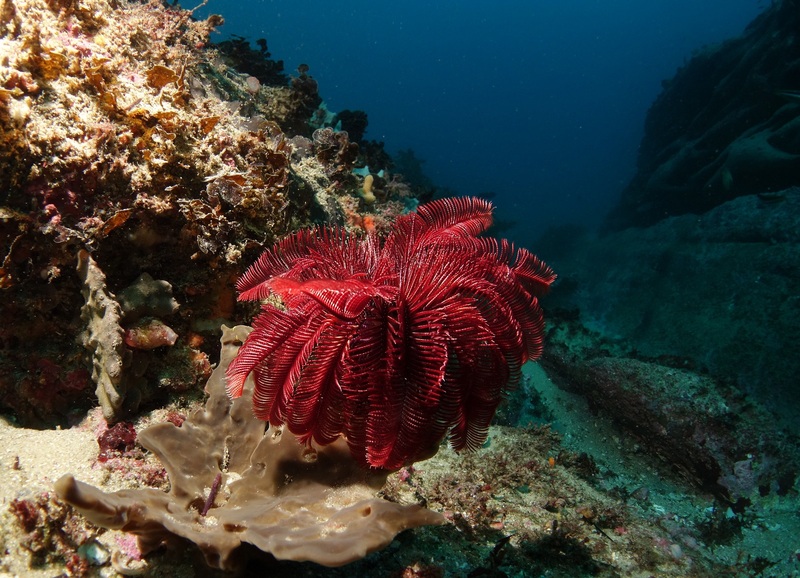 It'll probably be perched on a sponge because they need to get up into a current to feed. 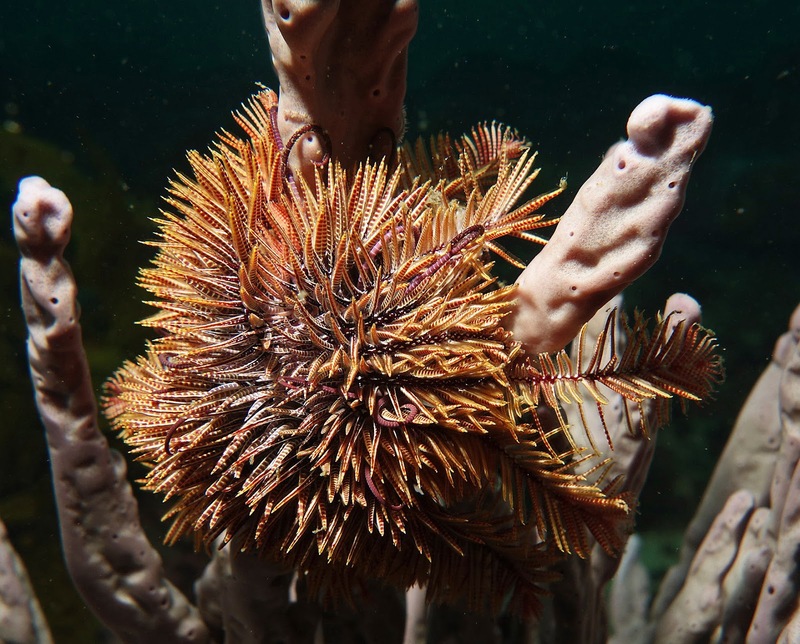 Each pinnule is armed with tube feet that produce sticky mucus to catch tiny particles of food from the water. The food is then passed into a groove in the middle of the pinnule, where cilia pass it along into a groove in the middle of the arm so it can all move down into the mouth. So those lovely feathers are basically conveyor belts covered in dirty mucus. Pretty ones, though! 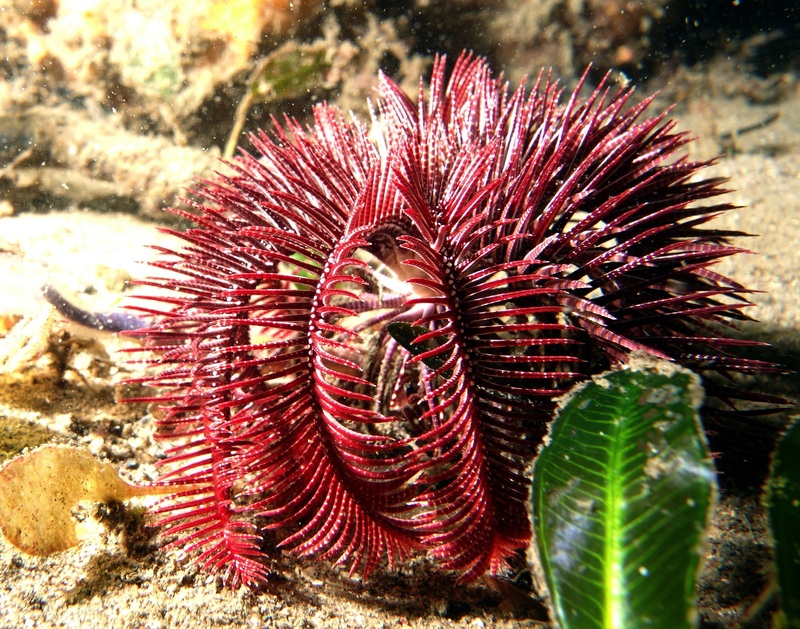 The Passion Flower's pinnules are so dense and prickly that this harmless Crinoid looks a lot like the Crown of Thorns Starfish and its sharp, venomous stings. When the Passion Flower gets tired from a hard day sitting around doing almost nothing at all, they can roll up their arms and take a rest. 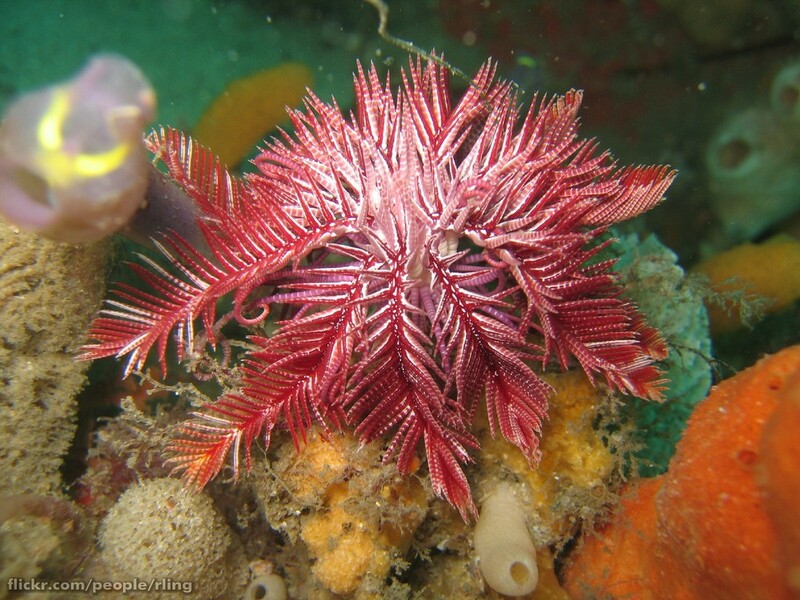 Now they look like a sea urchin! 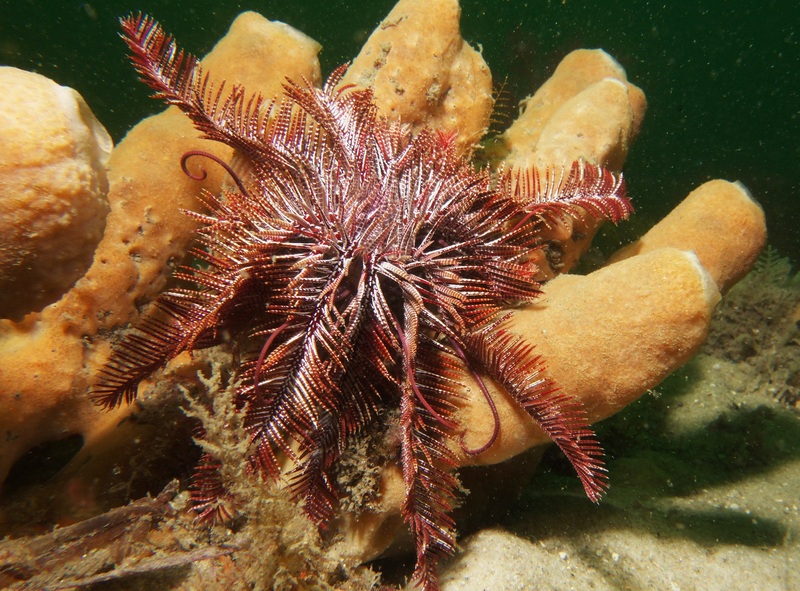 They never look like a sea cucumber, though. One must maintain some standards. It looks like some kind of fern. I'd expect to see it in the forest rather than underwater! i thought of a fern, too! very cool. They look gorgeous whatever they look like!